CES 2018: Razer announces Android Laptop/Phone Hybrid Concept 'Project Linda'. 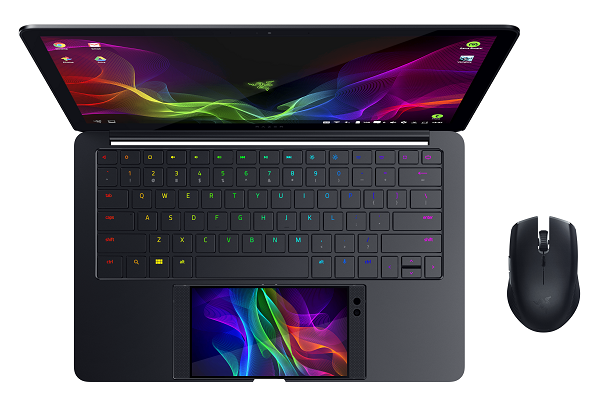 Razer today revealed "Project Linda," a 13.3-inch laptop design powered by the Android-based Razer Phone. The smartphone and laptop hybrid concept harkens a new era for mobile personal computing, blending the familiar Android environment with the ease-of-use of a laptop. Razer's Project Linda laptop seamlessly docks the Razer Phone inside its chassis where a touchpad would normally reside, and connects with the press of a button. The phone's Qualcomm Snapdragon 835 mobile platform and 8 GB of RAM deliver responsive performance, instantly transforming Project Linda into an Android laptop. The Razer Phone 5.7-inch display can be used as a touchpad, or as a second screen for access to apps, tools, and more.